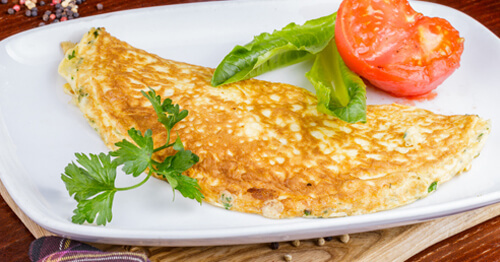 You may hear the word protein and immediately think of a juicy bacon cheeseburger or a Sunday morning cheesy omelet. But, this macronutrient, famous for building muscle, comes in many shapes and sizes and has a whole lot of responsibility other than conquering cravings and “bulking” you up! Protein is made up of amino acids. There are more than 50 amino acids in the body, but 20 of them are responsible for protein building. There are 11 nonessential amino acids, meaning the body can create them on its own and 9 essential amino acids that the body cannot make by itself, meaning they must be ingested through foods. Most animal proteins, such as beef, eggs, chicken, fish and poultry contain all of the essential amino acids, and so they are referred to as complete proteins. Note: soybeans, hemp and quinoa are the only common plant-based foods that are complete proteins. Foods such as legumes, rice, beans and nuts do not contain all the essential amino acids and may be referred to as incomplete proteins. However, you can combine foods (think beans and rice) to get all of the essential amino acids and form complete proteins. And you don’t need to eat the incomplete proteins in the same meal! You need both essential and nonessential amino acids for your body’s cells to perform all of their functions. Why is protein so important aside from helping us quash a burger craving? Protein is used in many bodily functions including cell maintenance and repair, blood clotting and the production of antibodies. It is the primary component of many body tissues such as skin, hair, and muscle. Protein also provides satiety (feeling full). In other words, it is keeps us from diving into an ice cream sundae after... a bowl of pasta. One study(1) showed that people who ate 30% of their calories from protein versus 15% reduced total caloric consumption by 441 calories. It is important to note that not all protein sources are created equal. We should aim to consume both plant and animal protein (if we’re meat eaters, of course). Animal protein should come from lean sources. It is recommended that approximately 15% of your daily calories come from this macronutrient to meet your basic needs. I believe a healthy diet may safely have as much as one-third of your daily calories from protein, and there is good reason to consume that much. It’s easy to get into our own little adult food jags and eat the same omelet, burger or kale salad with grilled chicken again and again...and again. But, you should modify that breakfast for perhaps a protein-packed smoothie or tweak your lunch by nixing the grilled chicken for wild salmon or pork tenderloin. Switching up your protein will keep you from getting bored (and ditching your healthy ways altogether when you just can’t eat one more bite of chicken!). Also, when you eat different foods, you are consuming a wider variety of nutrients - especially if you swap out the rest of meal. Here’s a delicious idea for a nutritious breakfast smoothie using Life’s Abundance Plant Protein powder. This 100% grain-free, plant-based protein powder is a nutrient-rich blend of clean, high quality proteins including pea, chia, pumpkin, hemp and quinoa. And at only 100 calories, it contains a whopping 14 grams of protein in every serving! Makes one serving with a prep time of 5 minutes. Place ingredients into a blender and blend until you get the desired thickness. 1 Am J Clin Nutr July 2005, Vol. 82 No. 1 41-48. Good information here on the importance of both plant protein and meat/fish protein—or a combination of proteins that adds up to completeness. Good perspective for vegetarians and vegans, as well as those who eat meat/fish/dairy. I will have to try this recipe. Looks interesting. Great new product! Love the Plant Protein Powder! I'm excited to try this recipe! I love the vanilla plant protein powder! I just blended it with water and some ice cubes and it was so good! I was never able to drink protein shakes without adding other things like milk or bananas but this shake is delicious with just water! We had this smoothie for breakfast. A great way to start the day! We also love the Plant Protein Powder by itself with almond milk as it has a great taste! Thanks for the informative, yet concise article. I'm going to try that smoothie recipe. Interesting combination of ingredients. Excellent info! Great to understand complete proteins vs. Incomplete. The smoothie looks wonderful. Am going to try.